More and more rural property owners today are wanting fishing ponds or recreation lakes added to their property. 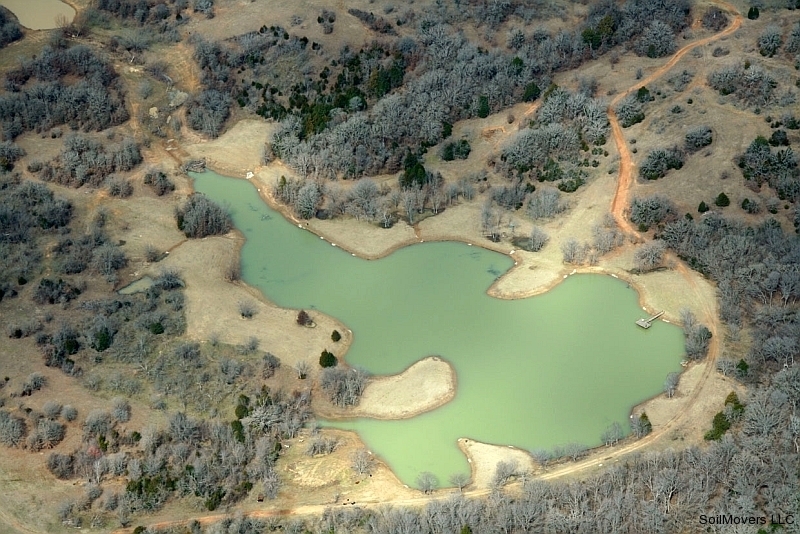 Ranch and farm lakes also provide a ready reservoir of valuable water in these uncertain times. 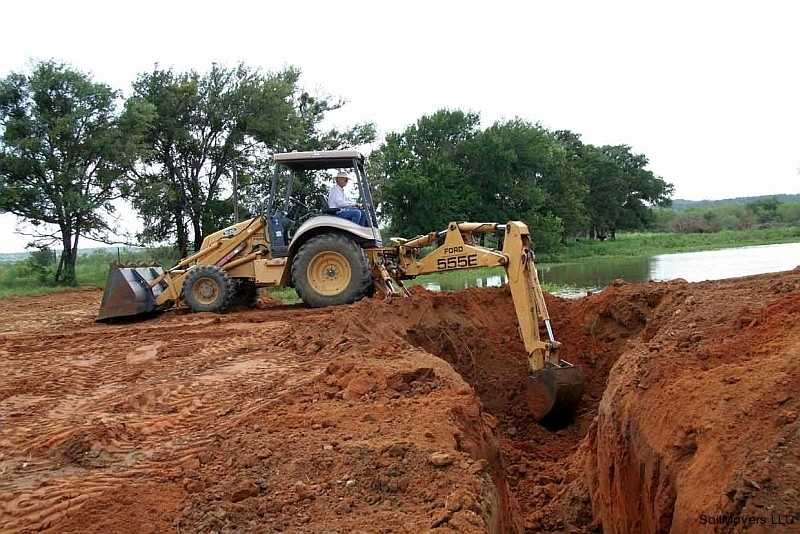 Fishing pond construction is more complicated than the building of a simple stock tank or farm pond. 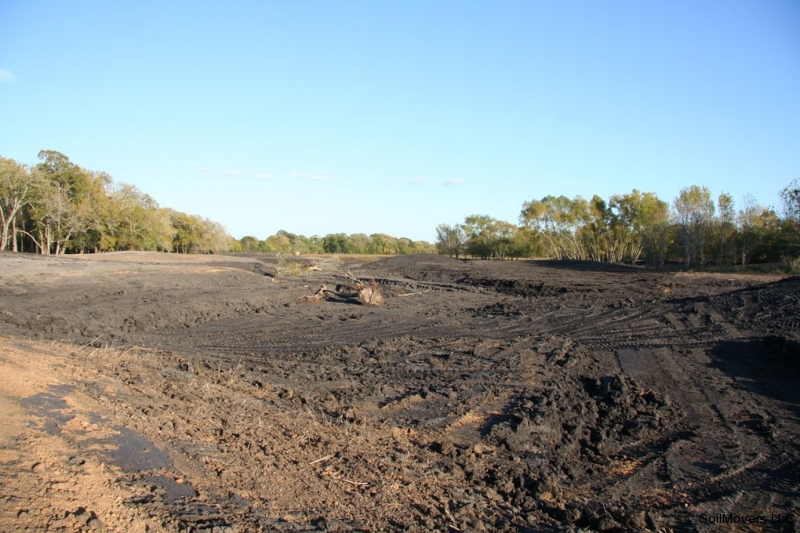 Your local bulldozer operator might get a farm pond or lake right the first time. Might is a big gamble. 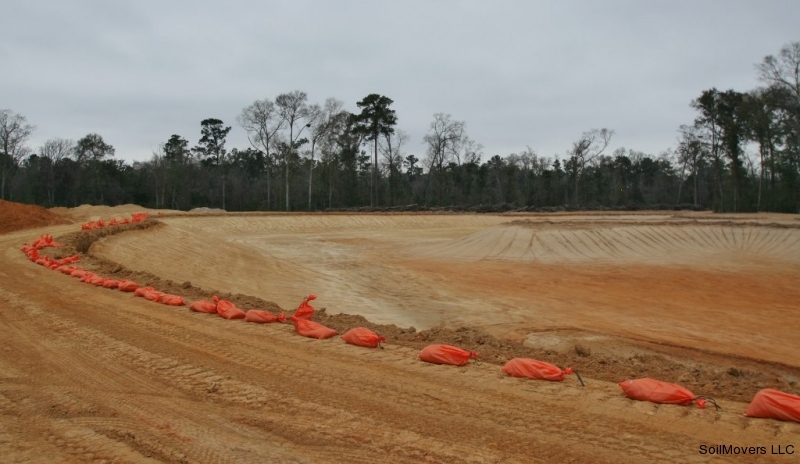 If he doesn’t get it right, if the farm pond will not hold water, if the banks are too steep,if the lake dam leaks, if the pond does not fill up correctly; you are left with an eyesore which must be drained and reconstructed. 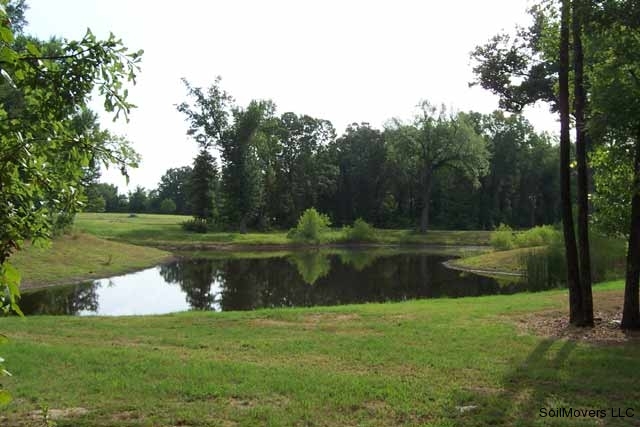 The proposition of re-doing an improperly constructed farm pond or fishing lake is always more expensive than the initial pond building. Experience and knowledge count in this business and as the older and more experienced craftsmen retire, it becomes harder and harder to find someone who knows what they are doing. 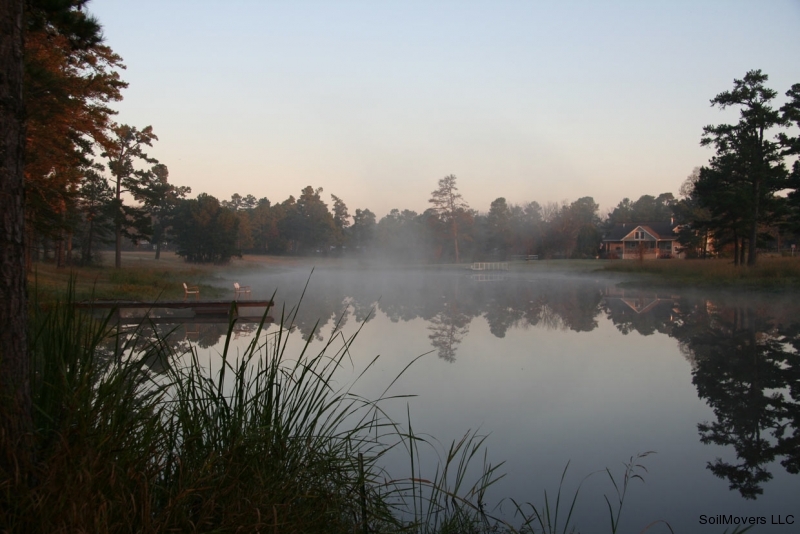 When it comes to lake building and how the intricate infrastructure of a premium rural lake retreat all fits together, there is no substitute for experience and a proven track record. 3/4 of Texas recently experienced the wettest May on record (2015). 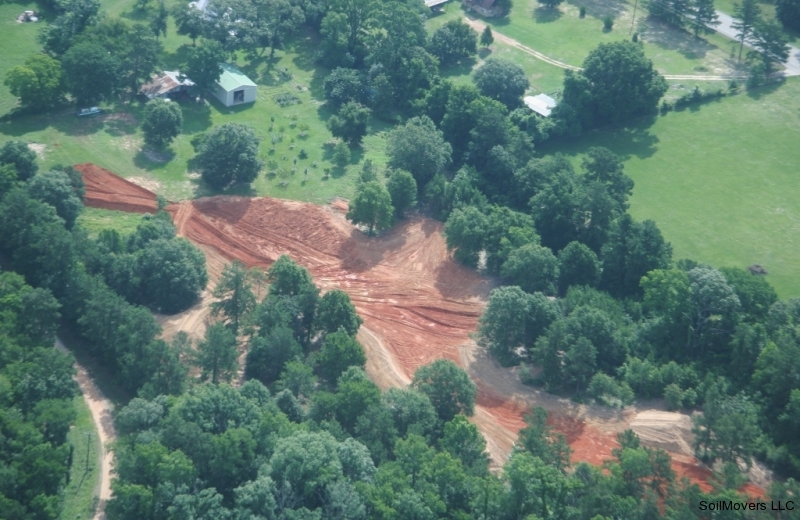 There were torrential rains and flooding with considerable loss of life and property. 2 weeks later, Tropical Storm Bill barreled up out of the Gulf and saturated the area with rain again for a real knockout punch. 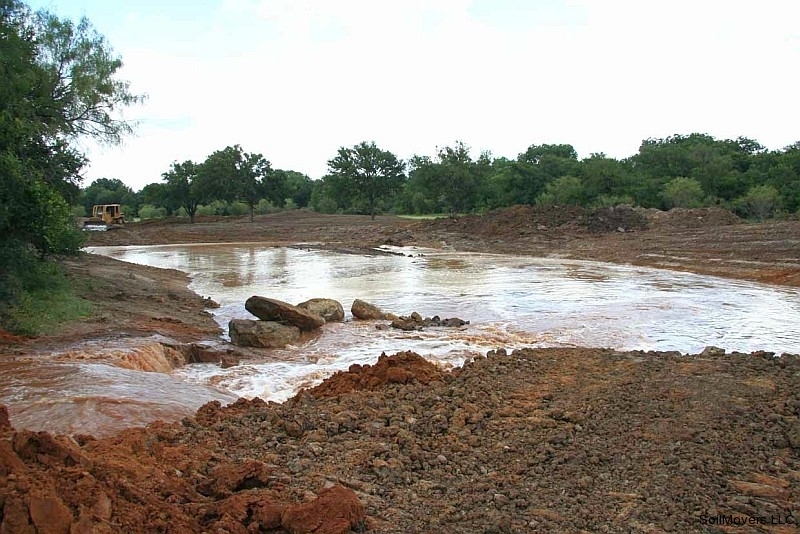 Many ranch lakes across the affected area failed, dams breached, spillways washed away, buildings were lost. 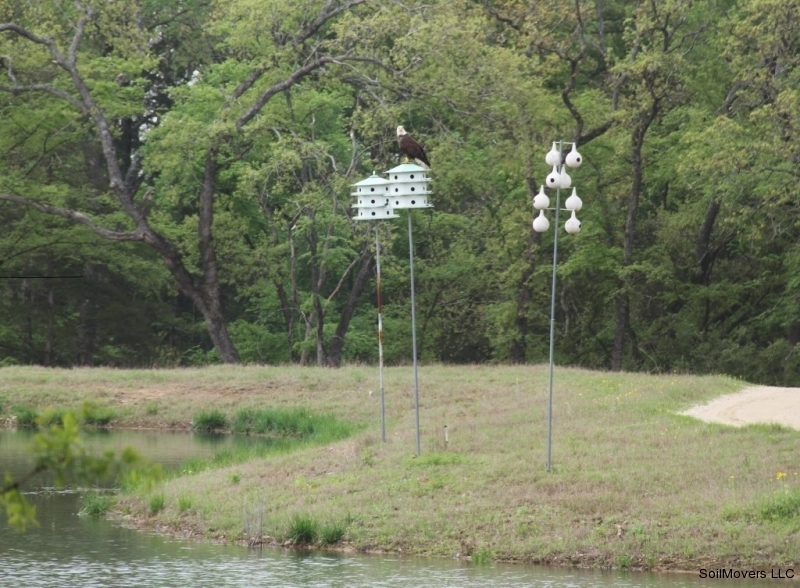 We know because we got the calls from landowners who needed help repairing and re-doing their ranch lakes, fishing lakes and tanks. Not a single one of our past projects was compromised in any way. That really says it all doesn’t it? This picture is not a ‘stock photo’ from some professional photographer’s portfolio. 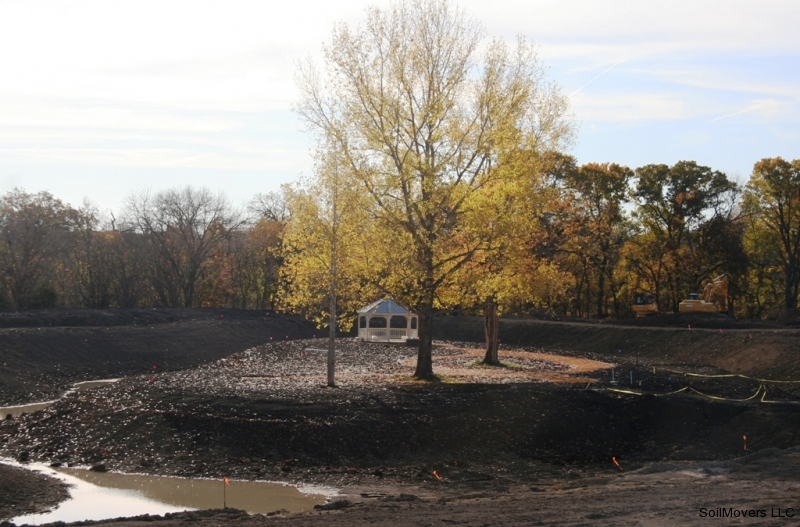 It is an actual picture of one of our successful rural lake retreat projects that has matured very well since completion several years ago. 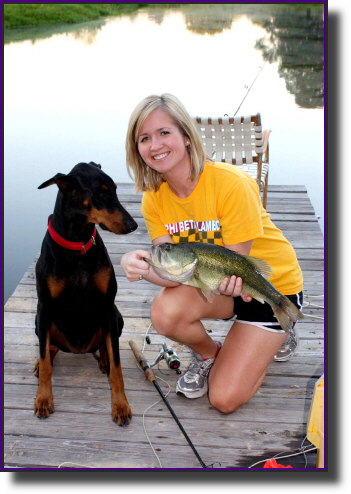 The clients keep a canoe handy for fishing in the lake stocked with bass, sunfish and catfish. 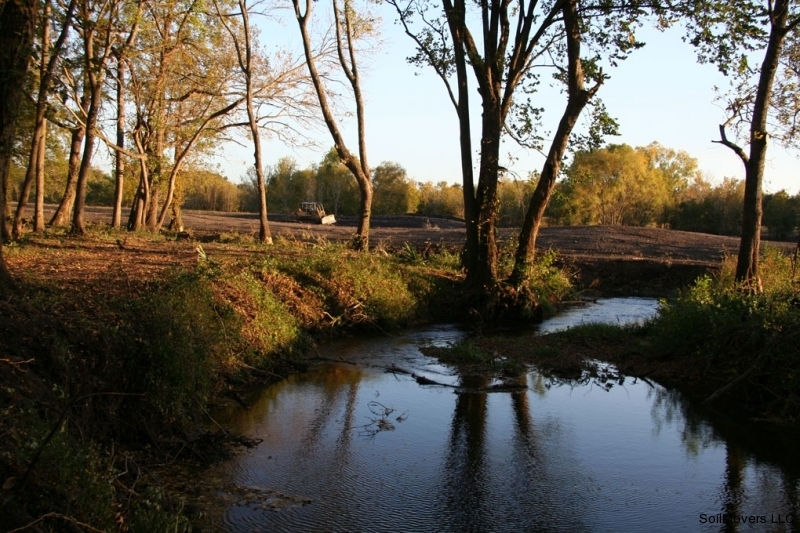 Mature oaks shade the banks where deer come to drink. 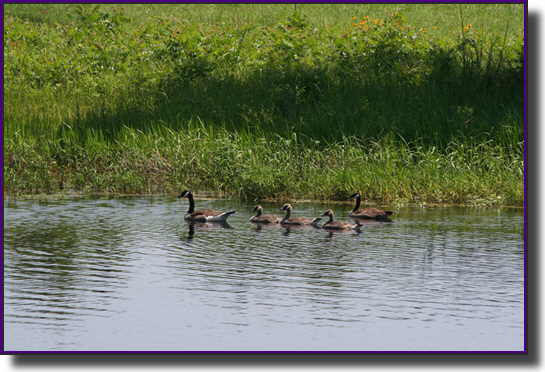 Wild geese winter on the lake every year. It is an idyllic country retreat and the land owners enjoy their investment every day. 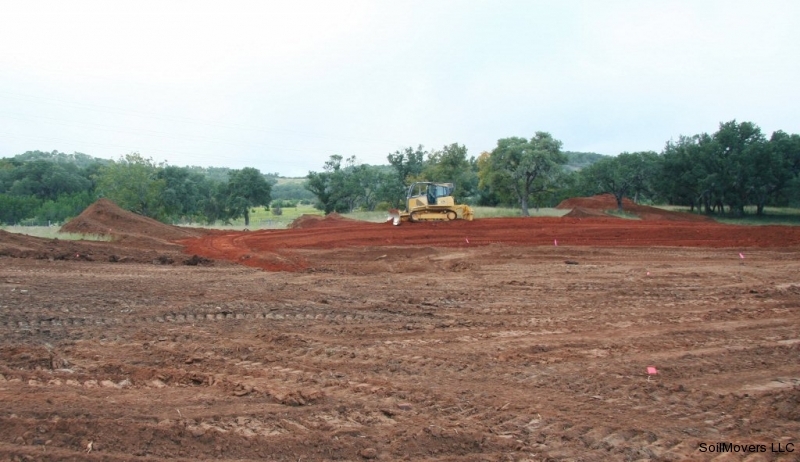 SoilMovers LLC announces a new lake construction operations base in Central Texas for 2016. 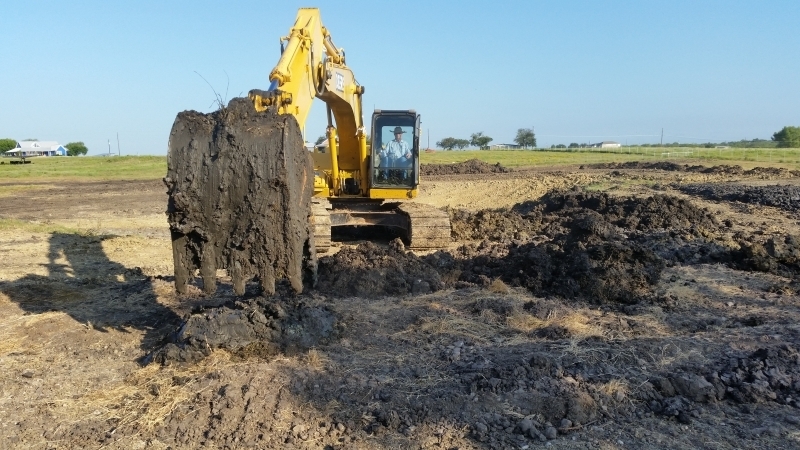 Beginning a new year in typical SoilMovers LLC fashion where our goal is to better serve our growing client base, Soilmovers LLC has established an operations base in Central Texas. 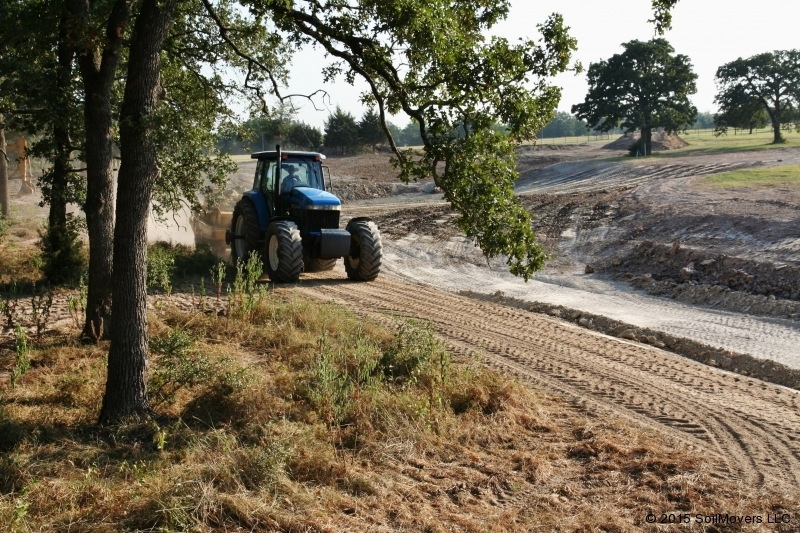 Over the years, Nick has found his talents mesh well with the land and the people of Central Texas and the Texas Hill Country. 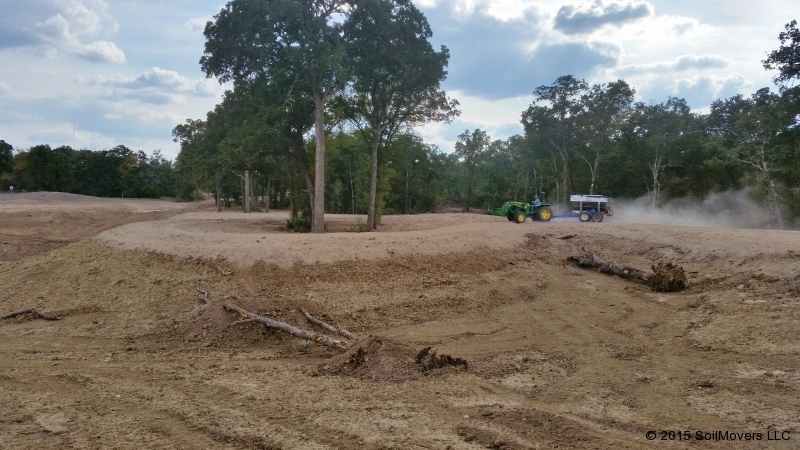 Looking back on our list of past lake and rural retreat projects it is apparent that Soilmovers LLC has spent a good amount of time working in Central Texas on some spectacular lake construction jobs. 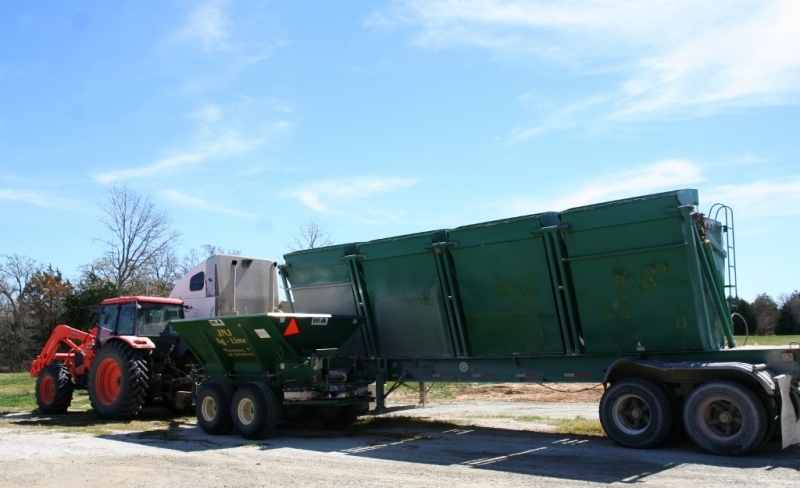 An operations base closer to our client’s location means reduced transportation costs to move the equipment and more time spent on the job moving it to completion. The new operations base is a fly-in location with a grass runway. 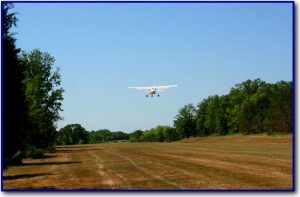 The ability to fly out of Central Texas puts him just a few hours away from most clients. This supports Nick’s growing consulting business. 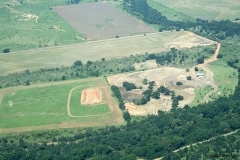 Nick taking off from our Central Texas location for another consult. In particular, this location gives him unprecedented access to the scenic Texas Hill Country. 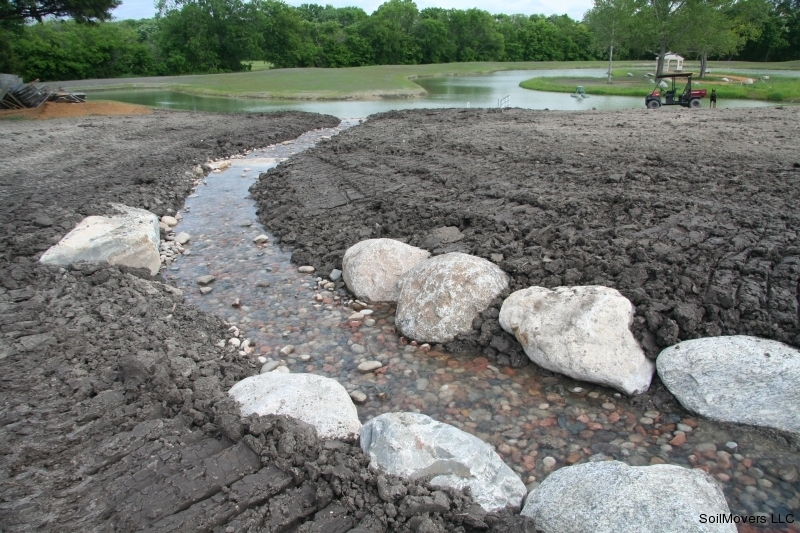 That rocky soil with granite outcroppings has always presented a challenge to lake builders. 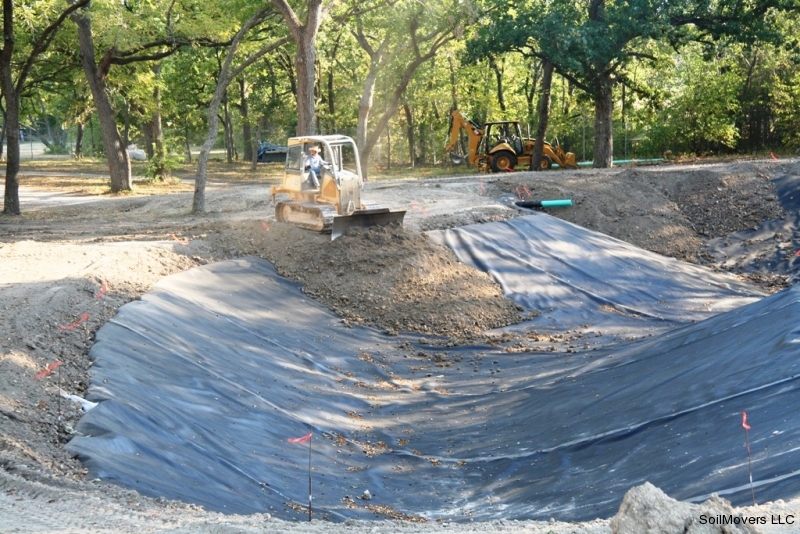 Nick’s vast experience with plastic lake liner construction fits the bill perfectly for this area. 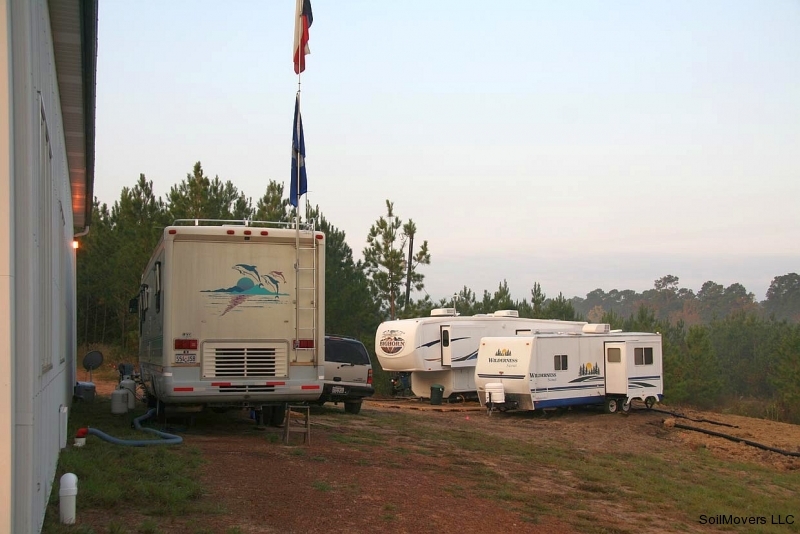 Our goal has always been to provide true value and unparalleled expertise and knowledge to our clients. 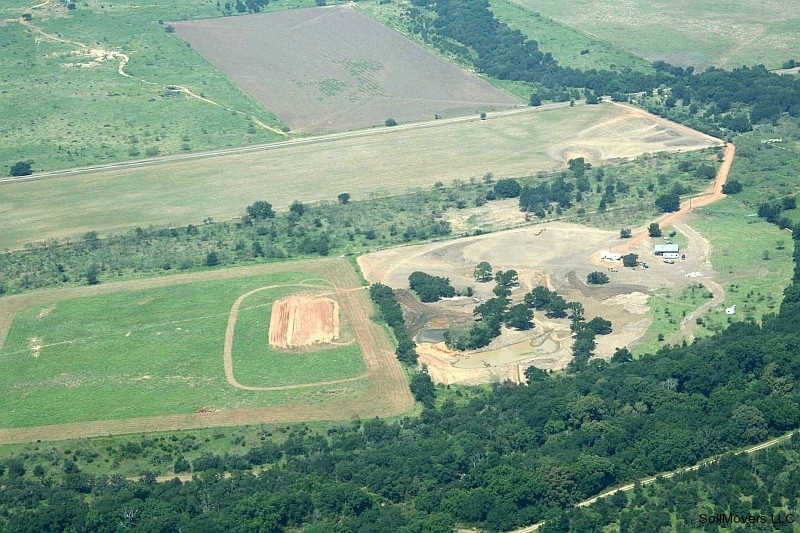 The new Central Texas operations base is a ‘win-win’ for future clients and SoilMovers LLC. 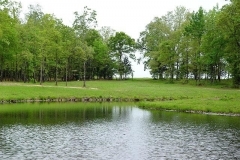 All Fishing Lakes and Farm Ponds are NOT Equal! 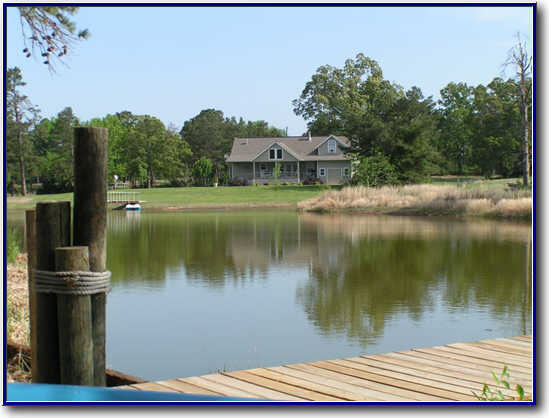 A body of water on your property is a desirable feature which adds value and provides pleasure for the land owner. 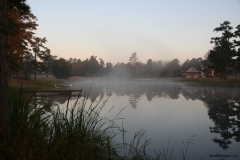 Fishing lakes are called many names. 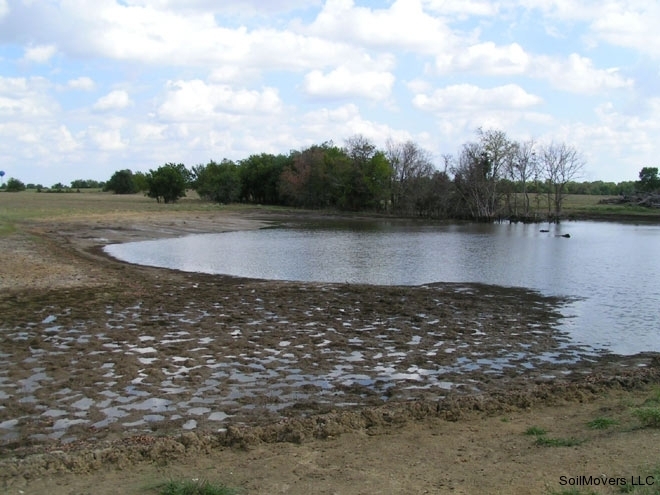 In Texas and the Southwest, they may be known as pools, ranch lakes or stock tanks. In other areas of the country, it may be farm ponds, farm lakes, fishing lakes or swimming ponds. Mother Nature’s Bounty. Nothing better than fish caught right out your front door! 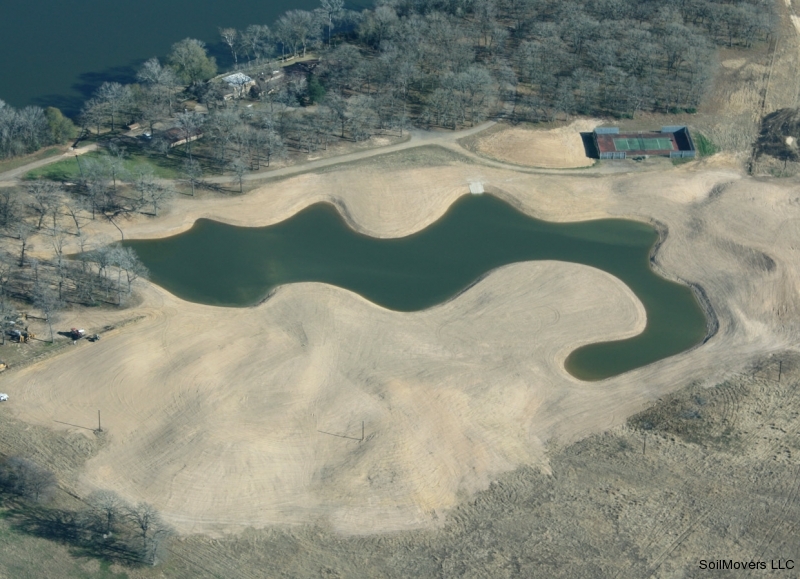 Regardless of what the water feature on your farm or ranch is called, their primary use as water sources for livestock has diminished over the years and lake building practices have evolved to suit the need. 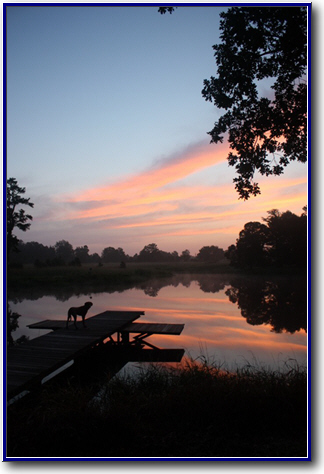 Today’s property owner wants a farm pond, fishing lake or recreational lake which adds beauty, value and pleasure to their property. 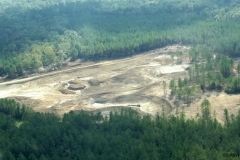 Land is mother nature’s canvas. You need a contractor with imagination, a feeling for effect and form and most of all – experience combined with honesty and integrity. Completing the masterpiece requires an artist in the field of excavation. 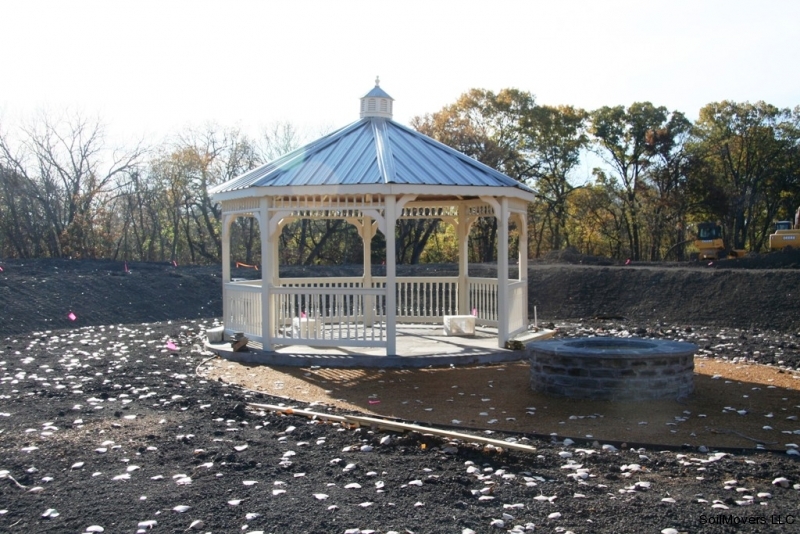 A client says “It is rare to find a consultant who puts such thought and effort into his work as Nick Jones. 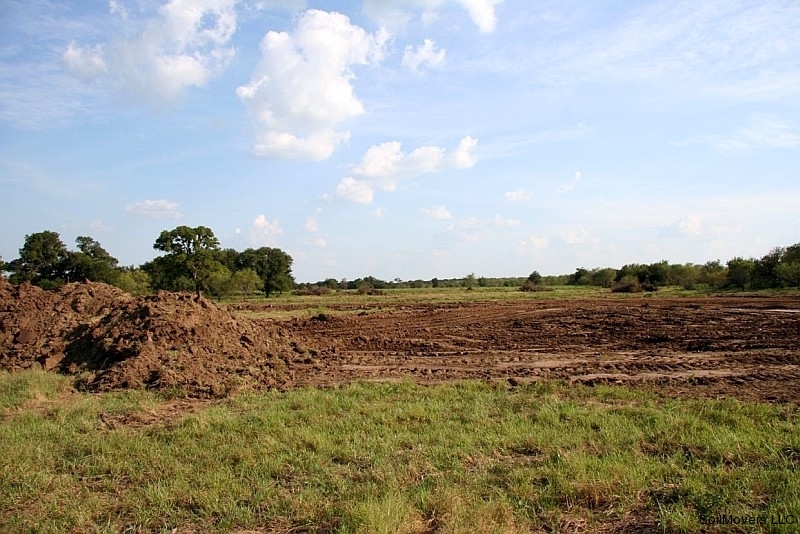 I recently had the privilege to witness his team of professionals build a beautiful lake, and sculpt my raw land into a much more aesthetically pleasing and functionally utilizable piece of property. 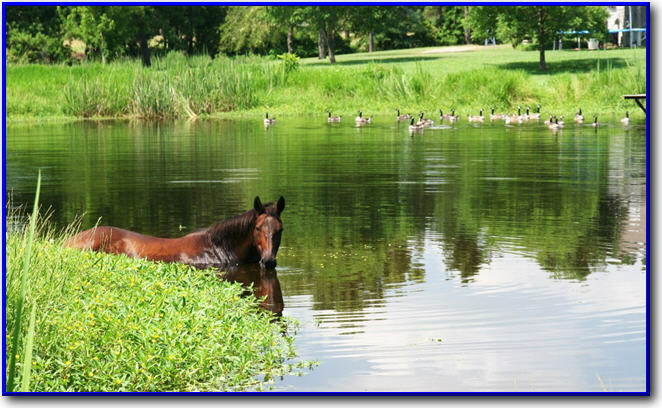 Nick and his crew provide the quality craftsmanship that it takes to create a body of water that will enhance the value and enjoyment of your land.” More references …………. 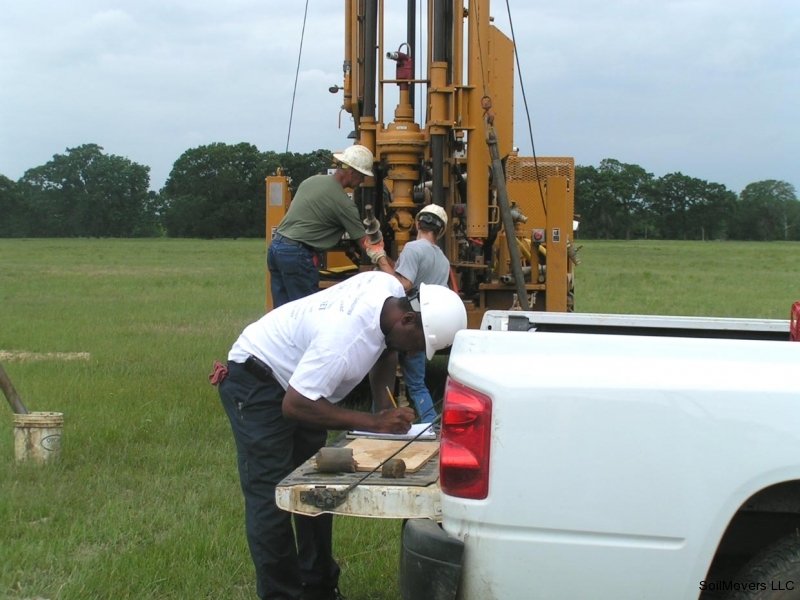 It takes a rare combination of experience, knowledge and proper equipment to complete a job at the highest possible levels. Most contractors never attain that level. 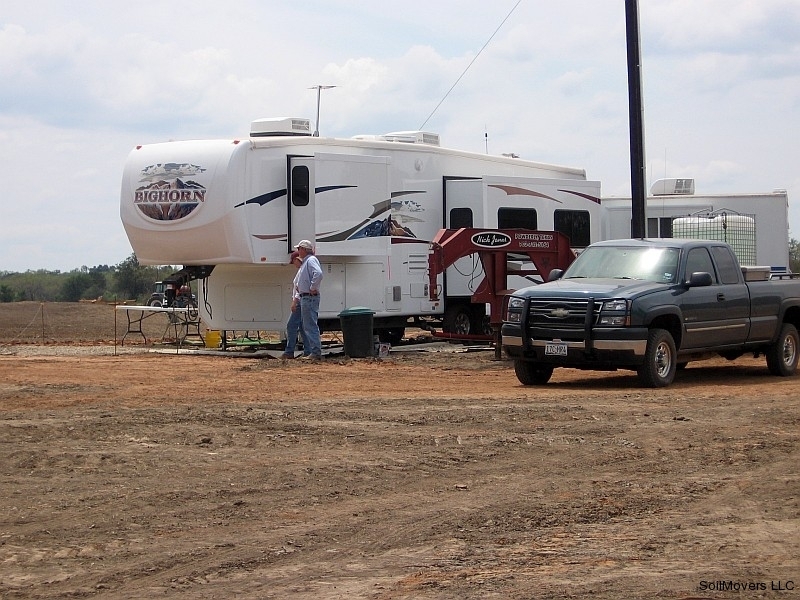 SoilMovers LLC routinely exceeds our client’s expectations. 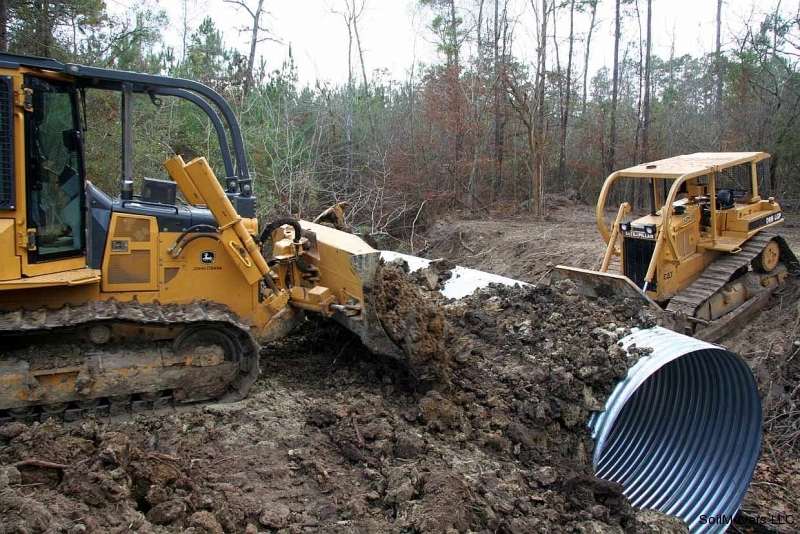 Nick Jones, of SoilMovers LLC and his associates, have over 60 years of experience in all types of excavation. 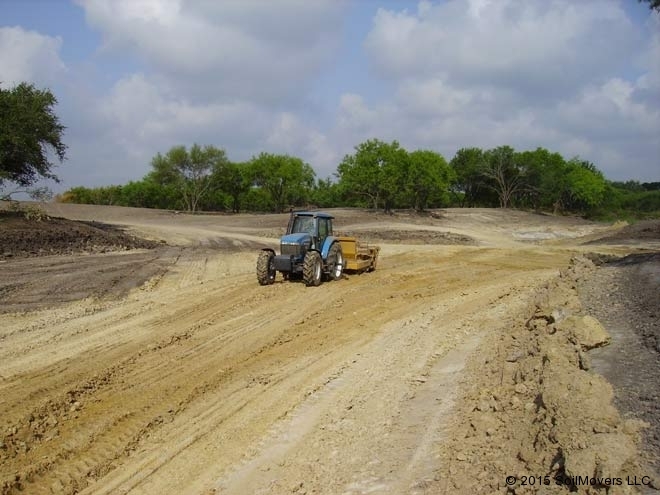 This includes ranch improvements, wildlife habitat and specialization in the design and construction of farm ponds, trophy fishing lakes, rural lake retreats and complete infrastructure improvements. 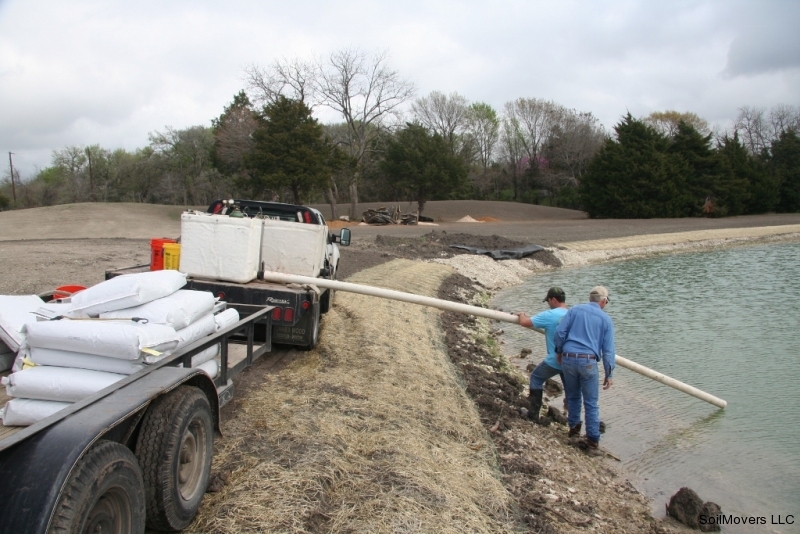 They have completed many successful farm pond, fishing lake projects, plastic lake liner installations and country lake retreats in Texas and Oklahoma for over a decade. 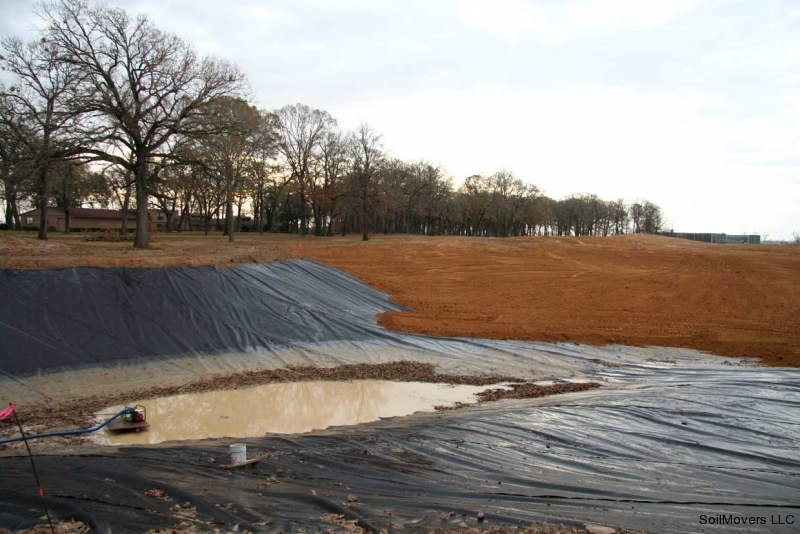 Construction of the more complicated fishing pond, fishing lake or plastic lake liner project is definitely not something you want an inexperienced contractor to tackle. 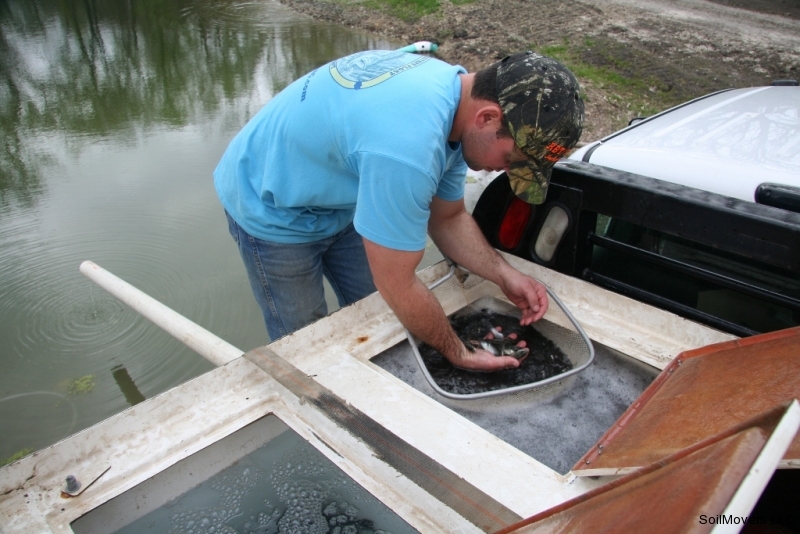 Building a proper fishing lake requires engineering, experience and the proper equipment to attain the level of a trophy fishing lake. 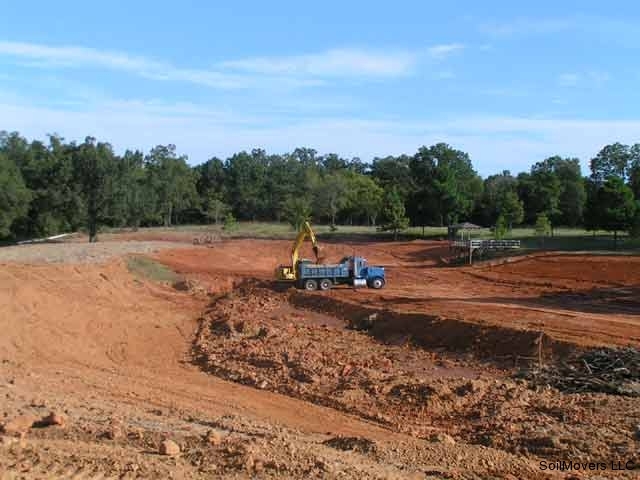 The excavation contractor you hire to construct the fishing lake or farm pond of your dreams has to be an expert. 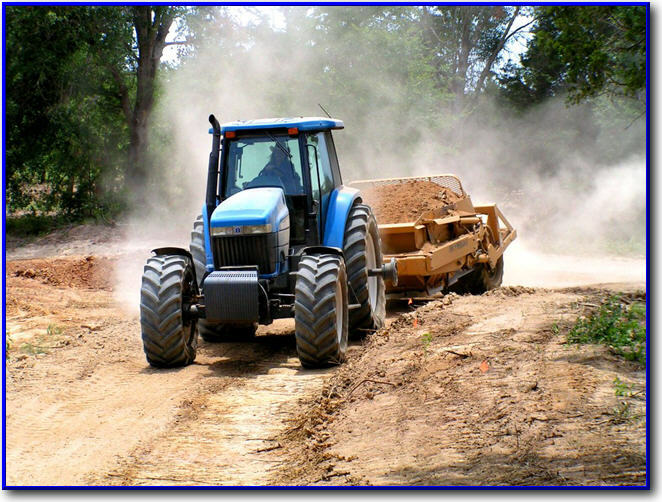 SoilMovers LLC can turn your dreams into reality. 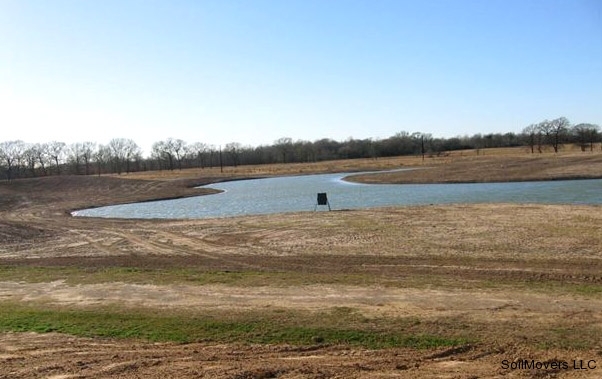 Conservative estimates place the real number of farm ponds and ranch lakes in Texas at over 800,000. 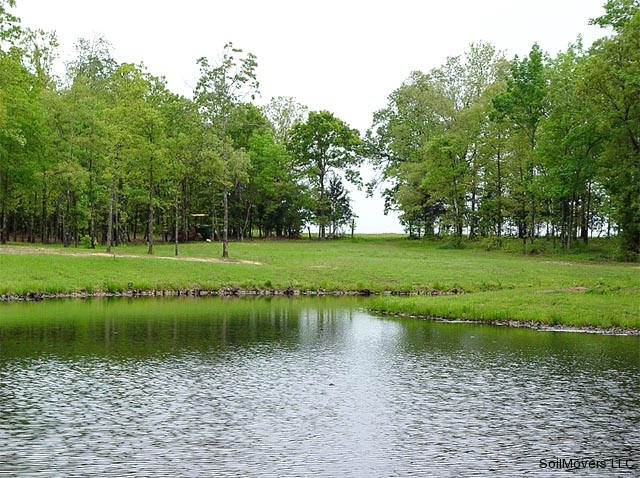 These farm ponds range in size from less than one acre to over 60 acres in size and 25% of all fishing in Texas takes place in private farm ponds and fishing lakes. 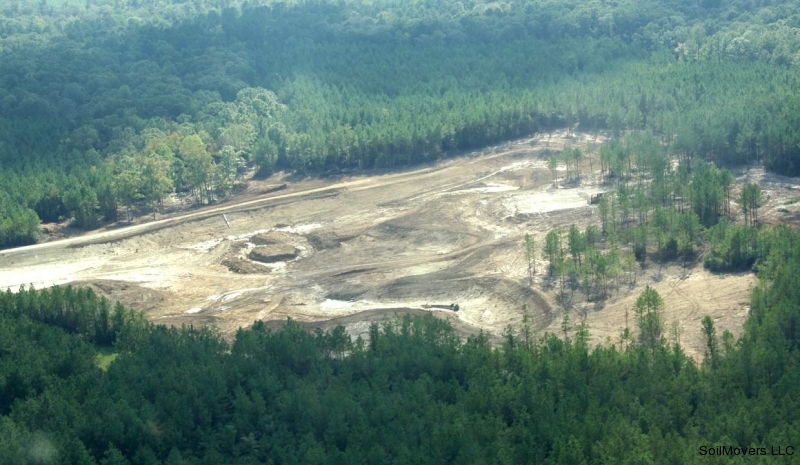 Unfortunately, many of these ponds are so poorly constructed that they fail to serve the purpose for which they were originally designed and some may even be unsafe and a catastrophe in the making. 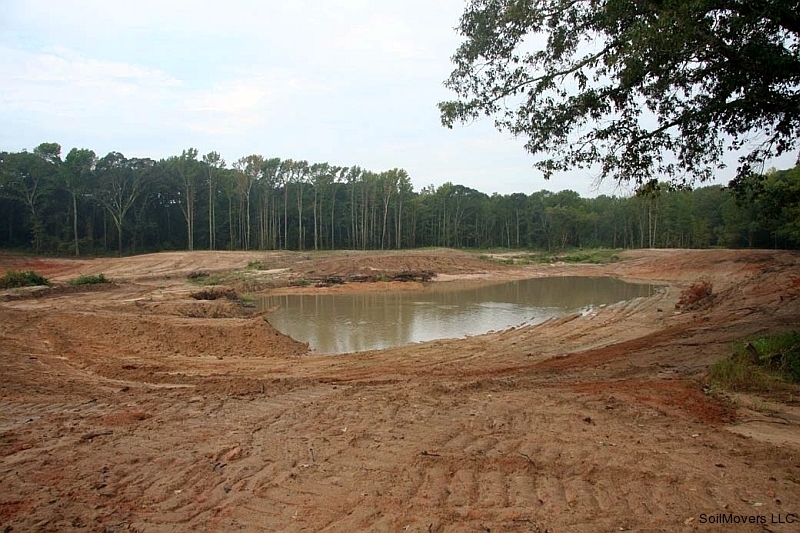 Until recently, little concern was shown for construction safety in building farm pond dams. 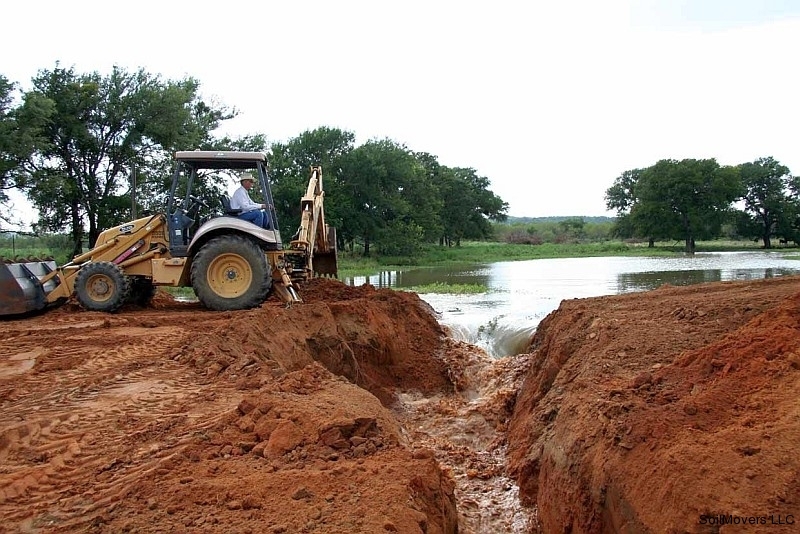 Now, many states are routinely checking pond dams and condemning those which are unsafe. 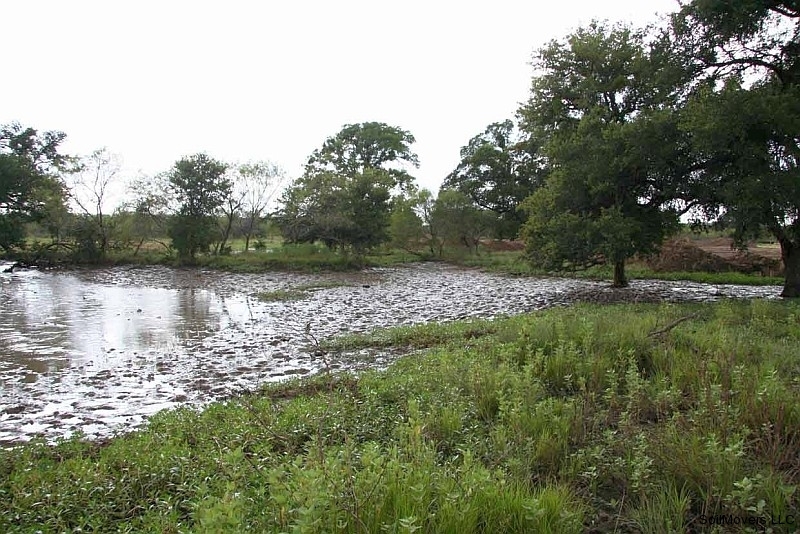 Condemned farm ponds must be drained and repaired or destroyed. 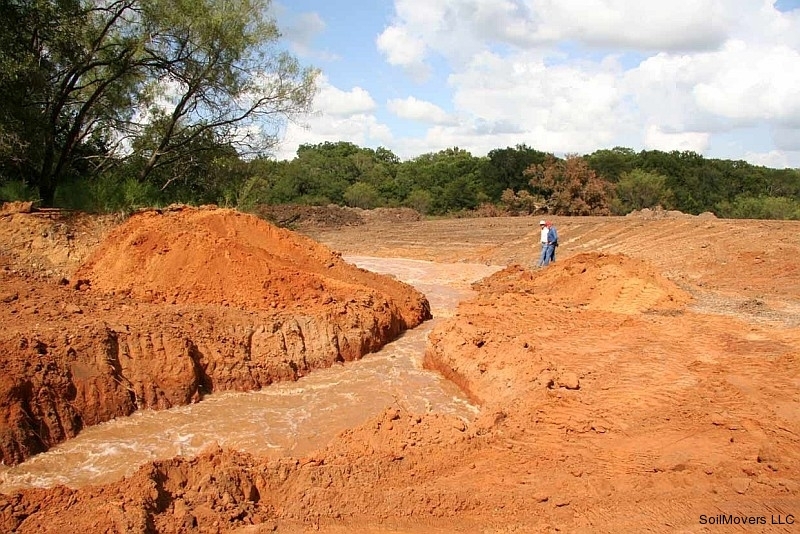 Therefore, it is important to properly construct new ponds or lakes in order to prevent expensive condemnation or structural failure of the dam. Much of Texas is subject to torrential rains when a Hurricane or Tropical Storm sweeps in from the Gulf or maybe Mother Nature will just be unpredictable like she was in May of 2015 when 75% of Texas experienced the wettest May on record. 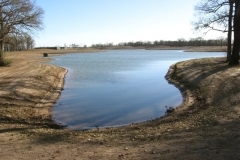 Farm ponds are built for many purposes. 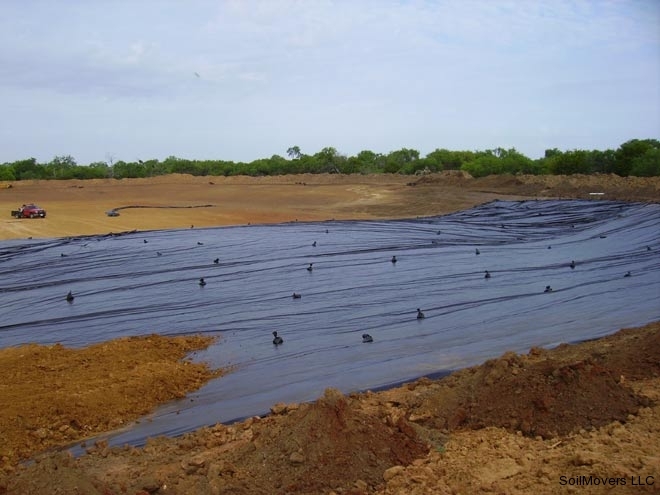 Those designed for livestock watering, irrigation, and fire protection must be built near the use they serve and also contain adequate water. Farm ponds or fishing lakes used for flood and erosion control frequently are located in dry valleys or depressions and have the capability for the storage of large quantities of water, especially during heavy rainfall and spring floods. 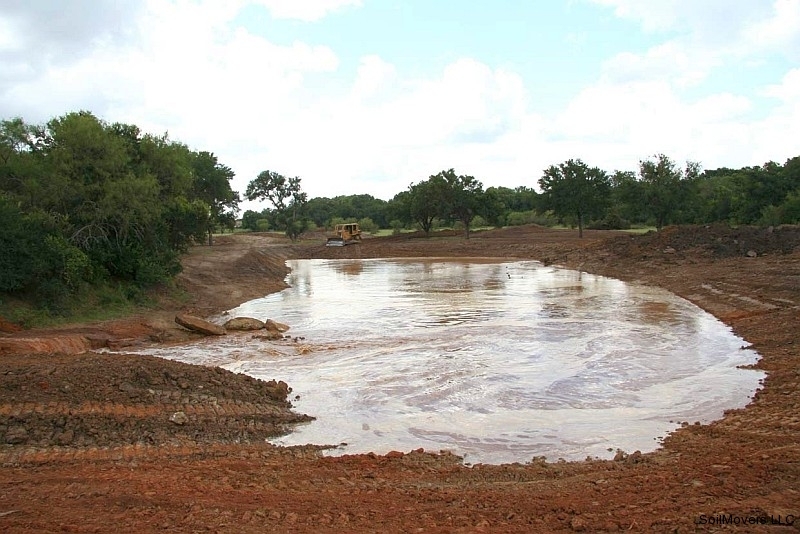 Farm ponds constructed for fish and wildlife production or recreation are designed and constructed for (1) easy access, (2) adequate volume and, (3) water level manipulation. 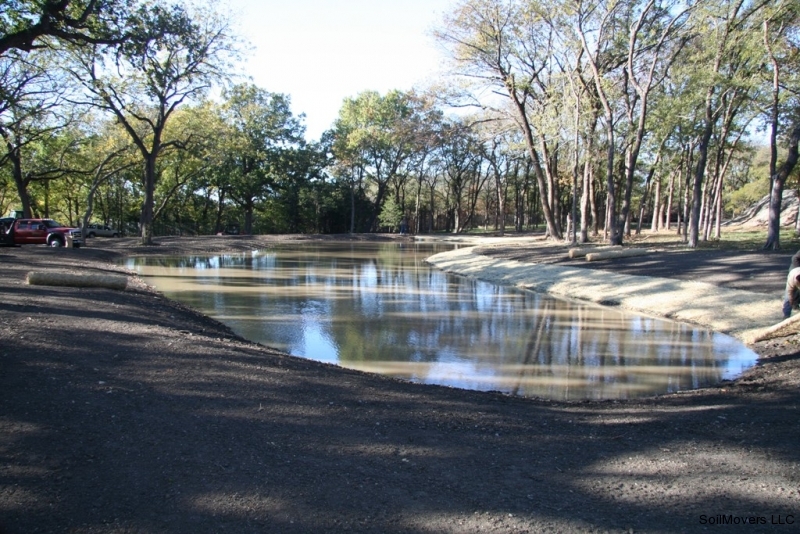 Farm ponds can be designed and built to serve multiple purposes with advanced planning. 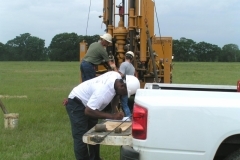 You just have to choose the contractor that is right for your job. 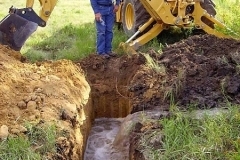 Building anything more than a basic stock tank requires an excavation contractor with a depth of experience with a multitude of different projects, a stable of expensive, dependable equipment to do the job right and the innate ability to visualize the final product which fulfills your dream. 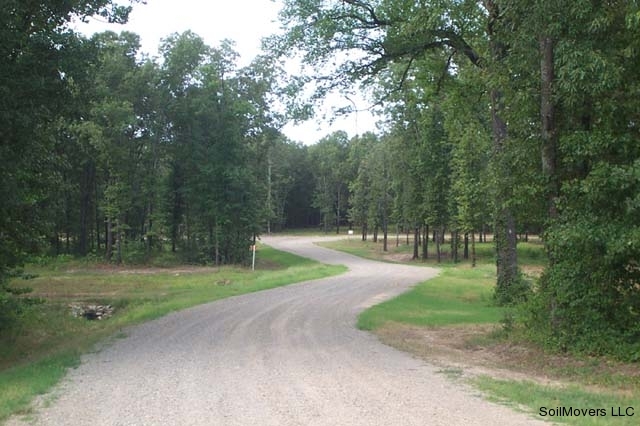 We have a long, successful track record satisfying the needs of our clients. 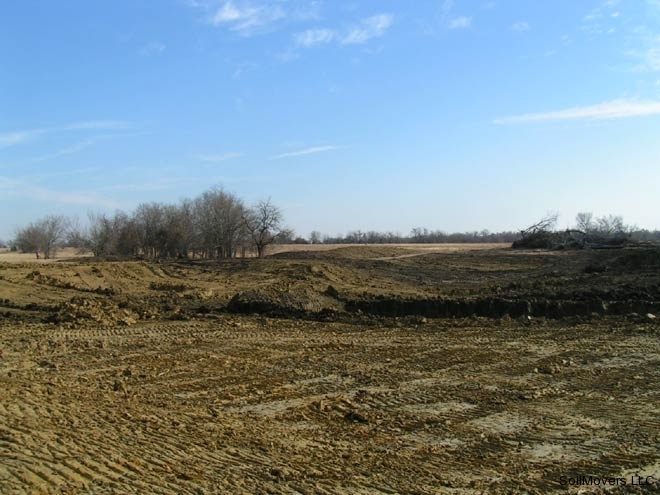 Take a look at our extensive list of varied excavation projects here. 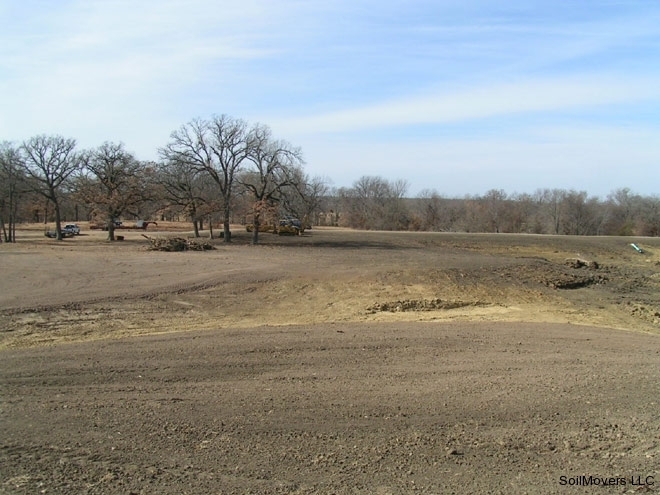 Contact Nick at SoilMovers LLC today. 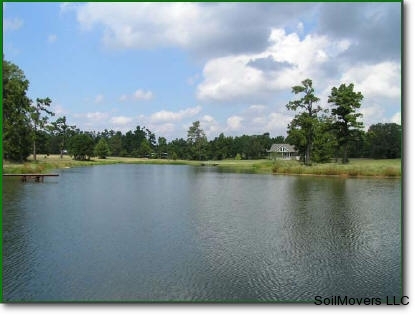 Ponds and lakes are an integral part of most recreational land tracts anywhere in the world. 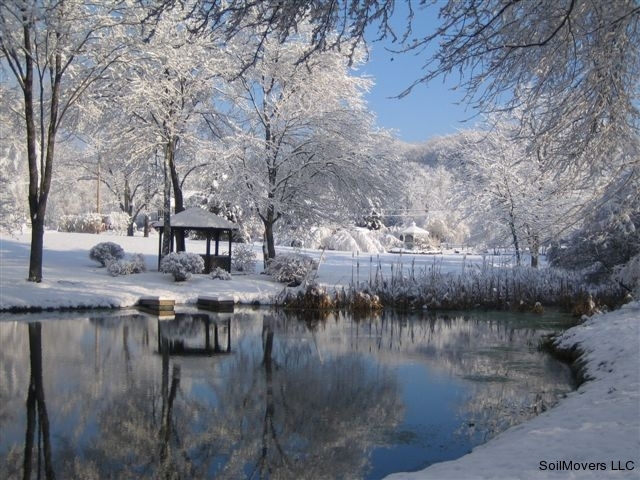 Many people consider the water feature on their land to be the most important, necessary and crucial component of their landscape. 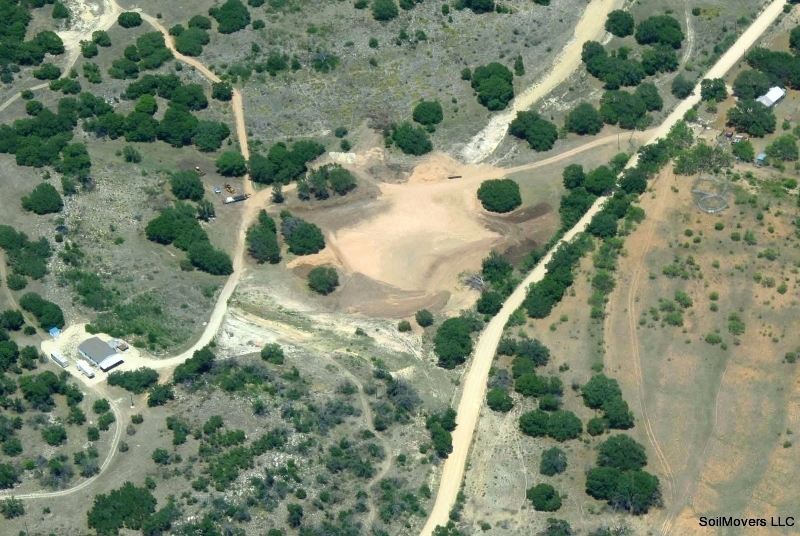 In Texas and throughout the Southwest the “water is life” mindset goes back to the days when the frontier was being settled. 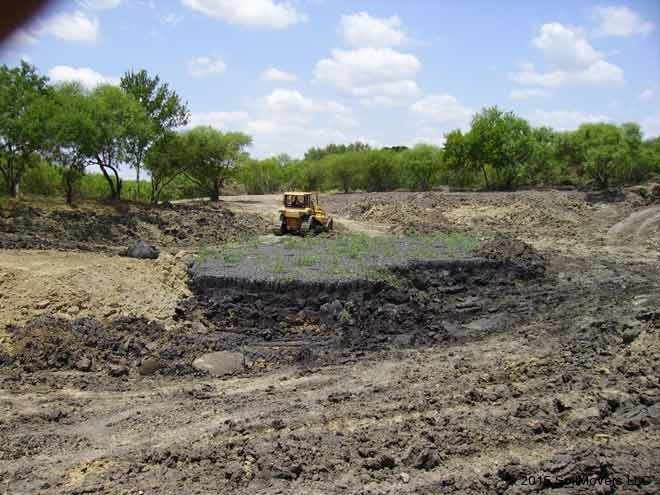 During the last few years in Texas and many other parts of the United States heavy rainfall events have damaged and/or washed away many ponds and lakes on private lands. Roads and other land based infrastructure have been impacted as well. 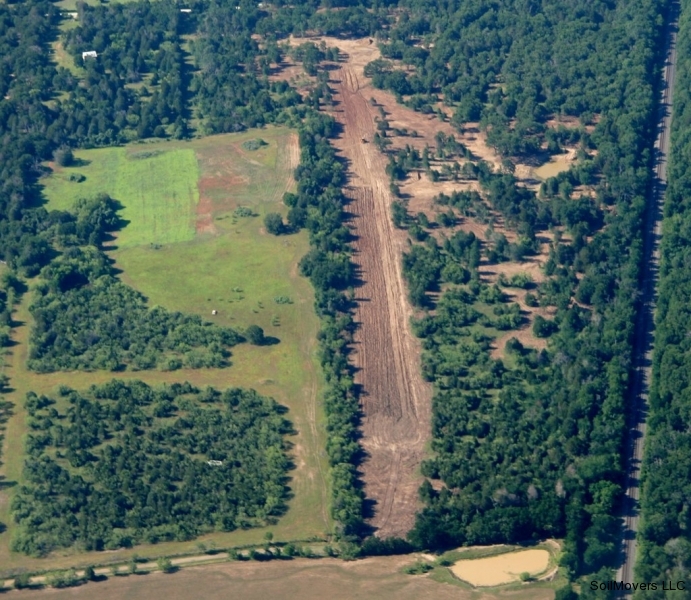 Some of these failures are 100 freak year occurrence events and could not be prevented. 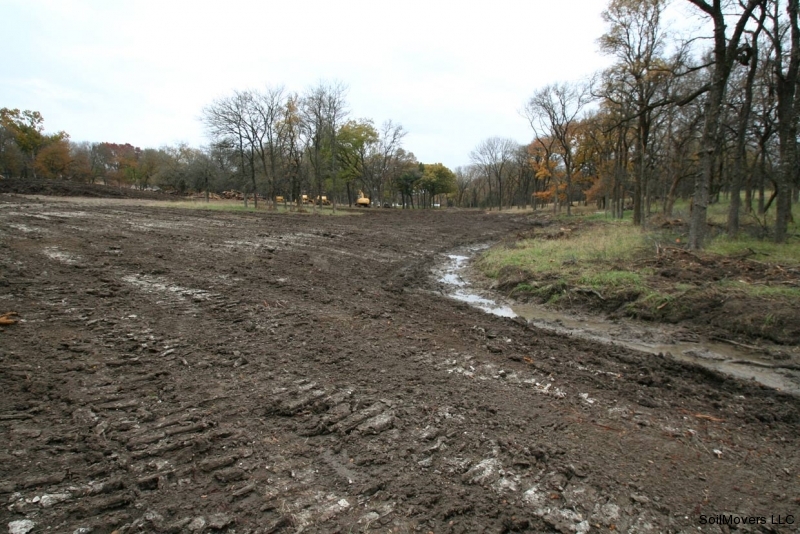 Most of these problems however originate from poor, improper or inadequate engineering and excavation practices. 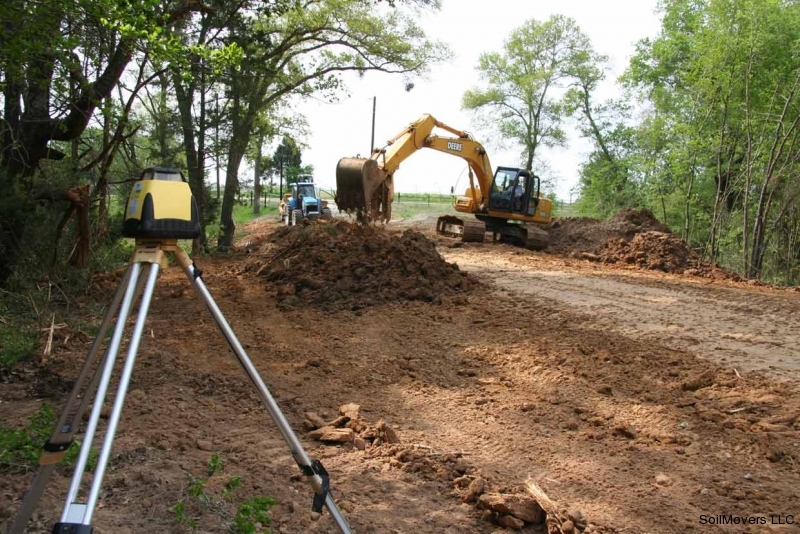 How do you know if your excavation project has been engineered and built correctly? 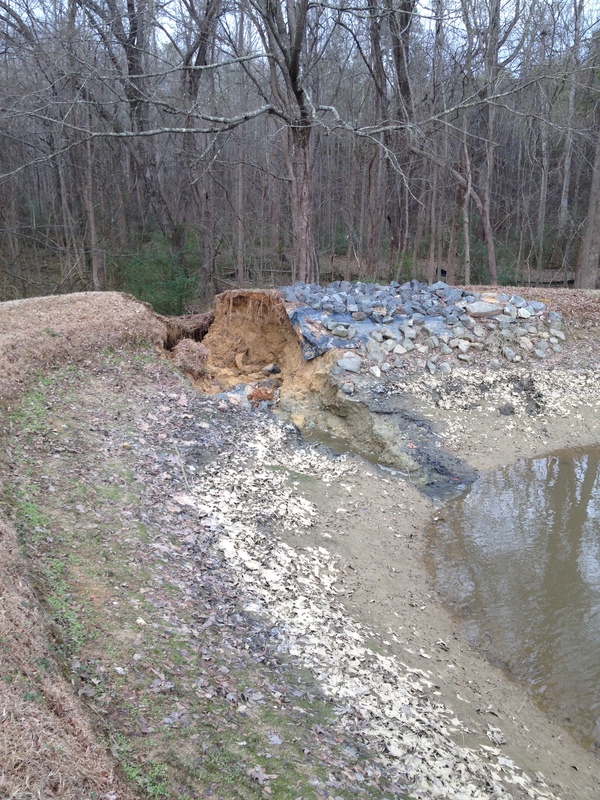 The most obvious clue will be whether or not your lake building project appears to be OVER engineered and OVER built. 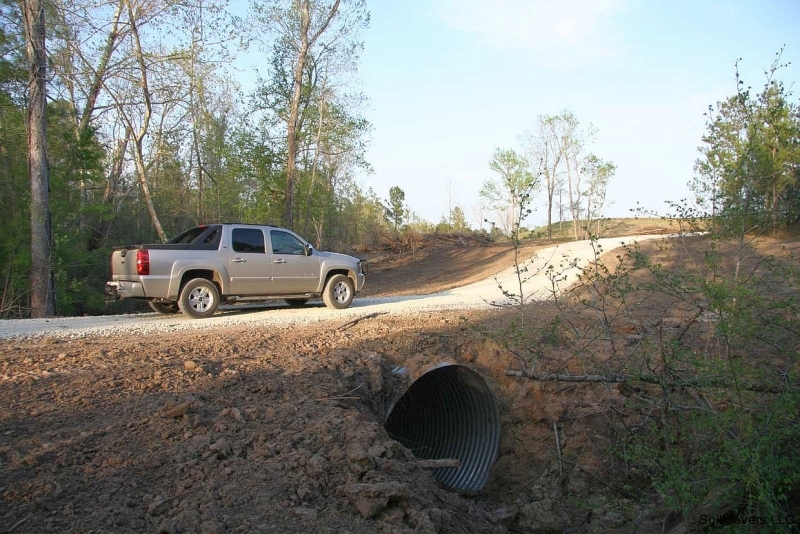 Through the years many clients have questioned my design regarding the extra free board on the dam, the seemingly oversized overflow discharge pipe or extra wide emergency spillway. 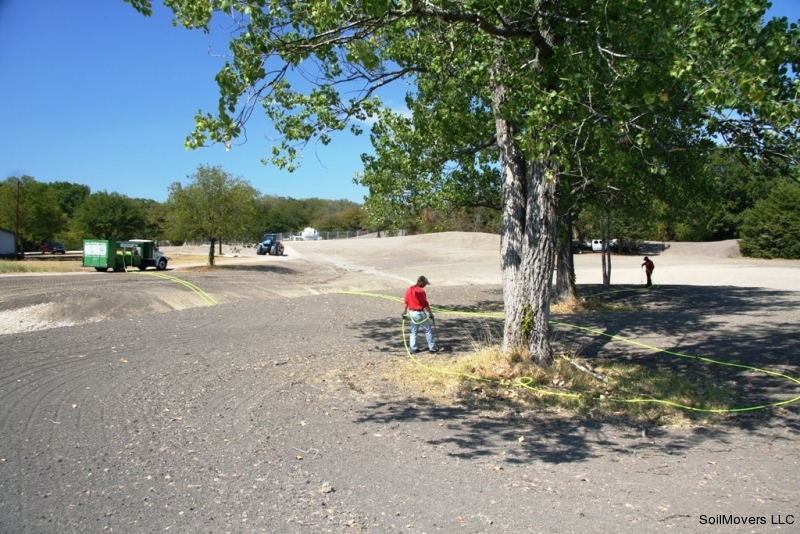 The proper elevation and drainage of roads along with adamantly saving top soil for later grass establishment has also come under scrutiny. I tell them all the same thing, “You will not truly appreciate any of this project overkill until it is too late to do anything about it and then you will thank your lucky stars that it was built this way”. 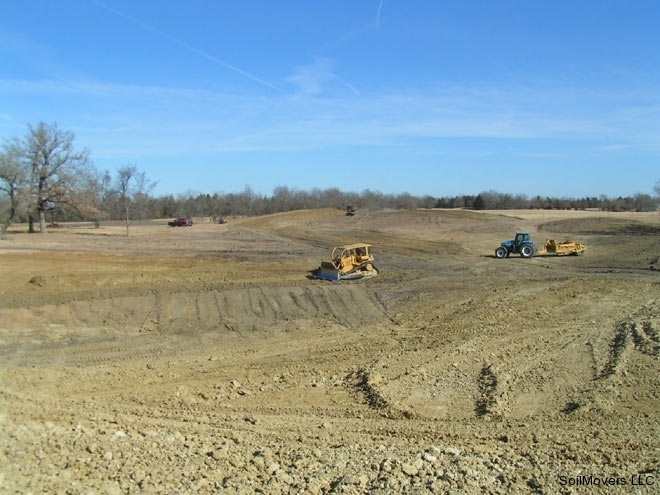 I cannot think of a single past client who has enjoyed paying the high monetary cost associated with quality excavation. I can however think of a great many consult clients I visited to advise on engineering failures concerning their completed lake building or infrastructure projects. One and all, they wished that they had done it right the first time, it is always cheaper to do it right the first time. 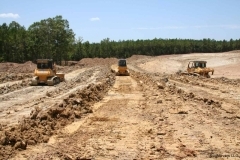 So why are most projects under engineered and poorly built? Mostly it is about money with a bit of client ignorance sprinkled in or just out and out deception due to contractor thievery. 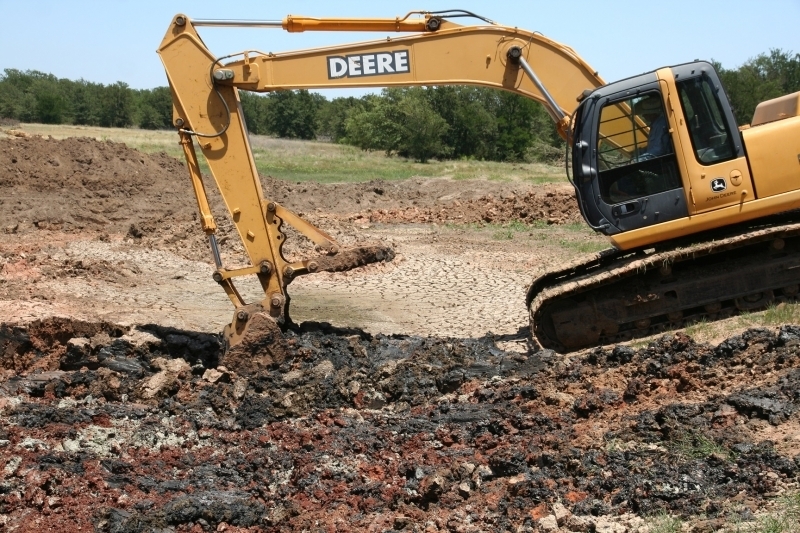 Excavation is expensive to start with and even more expensive if you do it right. 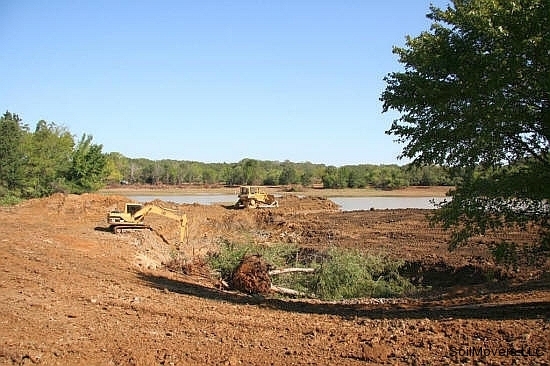 However, at the end of the day and when everything is said and done a poorly built excavation project that you have to fix will be the most expensive path you could possibly imagine concerning a lake building project. Let’s say that you wish to build a new lake, pond or road on your property or that you are repairing excavation based infrastructure that was damaged by storms or unexpected weather patterns. 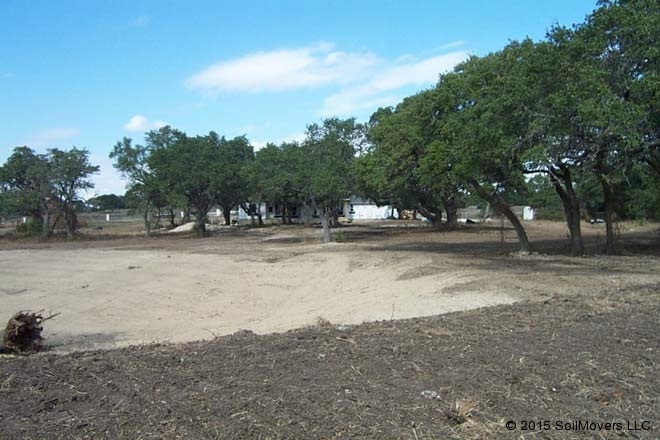 First, as the landowner, you must realize that no contractor comes to your site to lose money. Without your knowledge contractors will find a way to cut corners on your project if enough money is NOT budgeted to build the project. A dishonest contractor will cut corners and steal from you to enhance their profit margin no matter what. 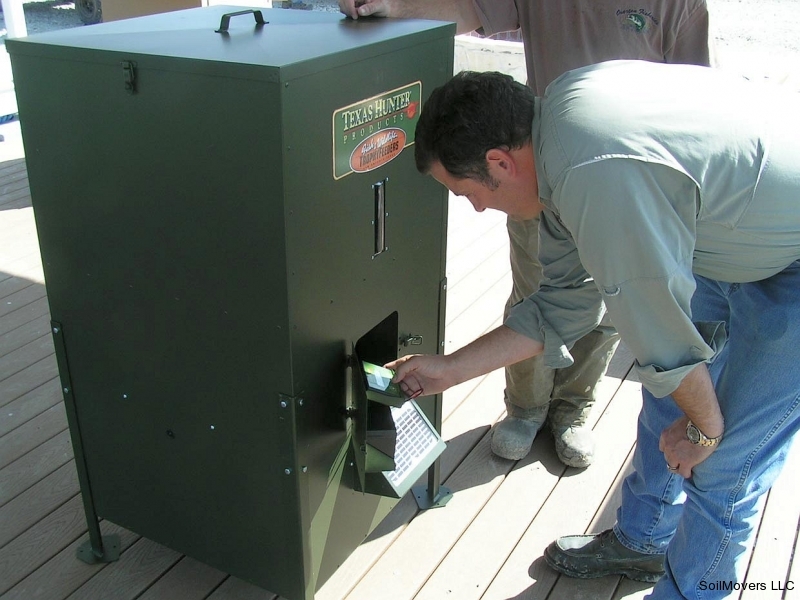 A less informed contractor will simply “do it like I always did” and hope that it works. 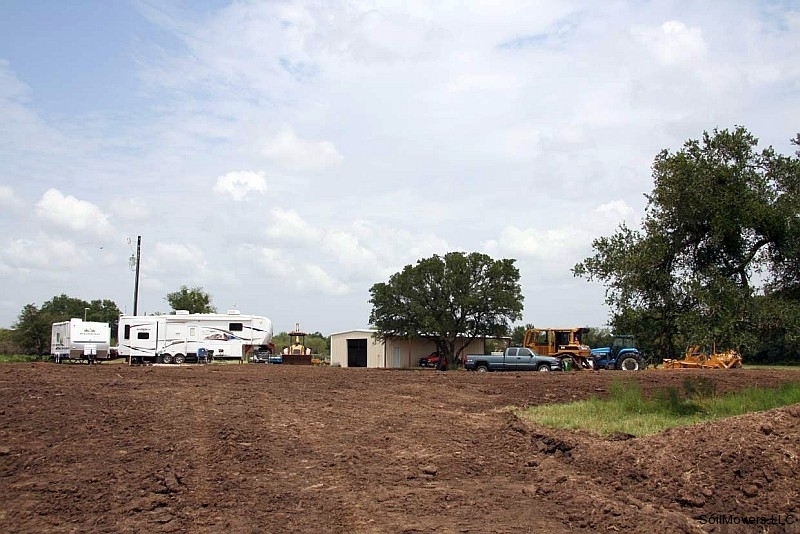 An inexperienced contractor will be overwhelmed from day one and may walk away long before the job is completed. 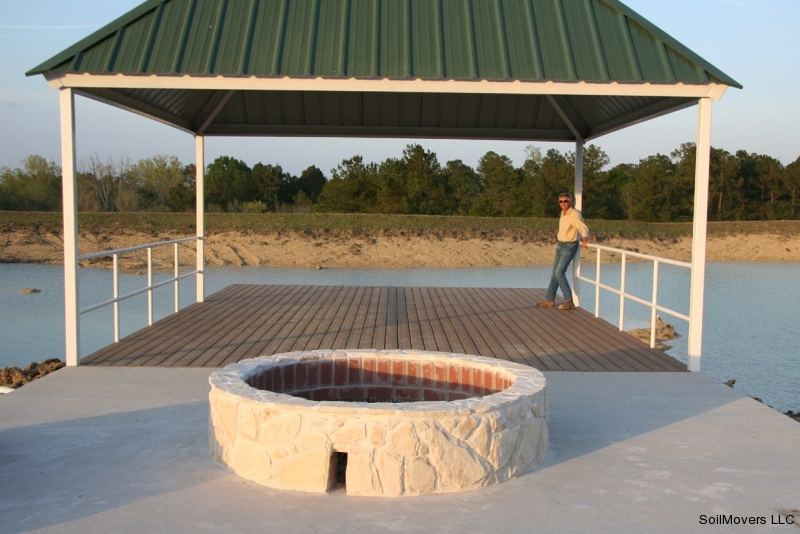 For starters you call the local contractor who comes out to give you a free estimate. More than likely the contractor is looking for a job (hence the “free” estimate) and might tell you what you want to hear just so that he can get started charging you money to move dirt at your site. 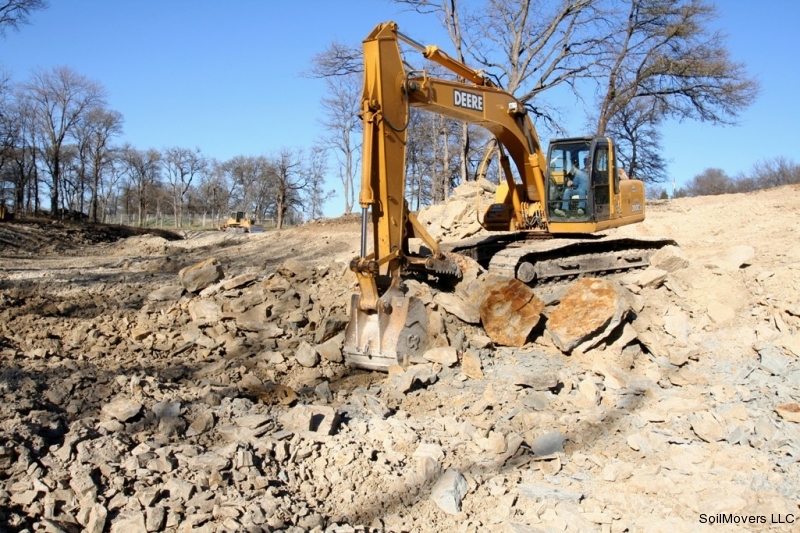 Quoting an expensive price, far exceeding your imagined expenditure can be a sure way the contractor will lose the job before he even gets it. 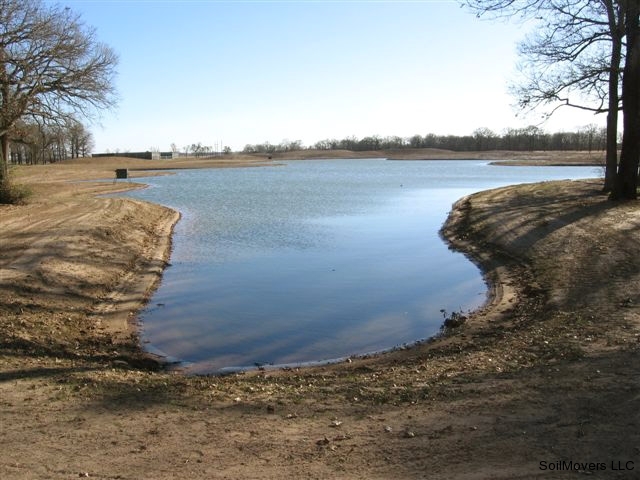 In an effort to practice due diligence in the planning maybe you contact a lake management company to come out and assess your project. The lake management folks are typically good at selling you with fancy words and a lot of flash. 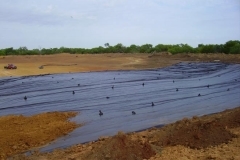 The lake management people will take the most profit associated with building your project and they will do it with the least capital investment; what I call “skin in the game”. 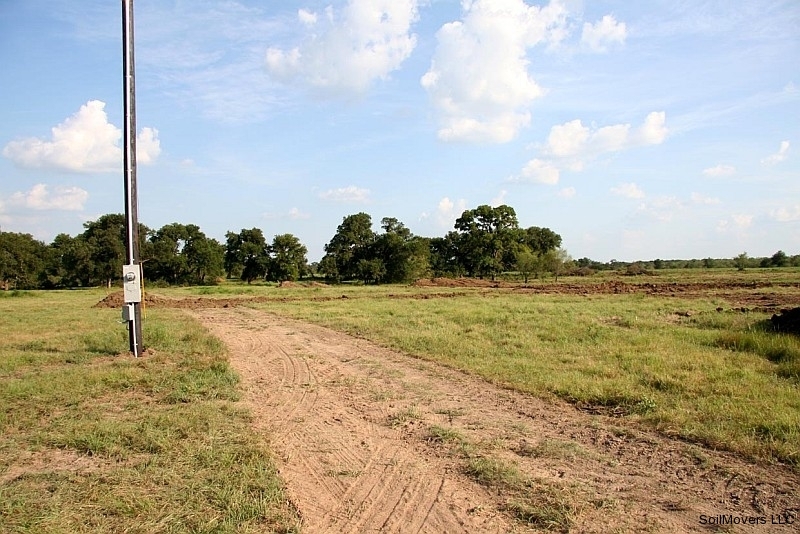 These profits must be tacked onto the project costs and you as the landowner do not get much out of it. 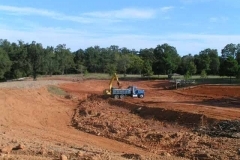 The ONLY time that a lake management company is worthy of what they charge is if they are on site ALL day EVERY day keeping the earthmoving contractor honest. 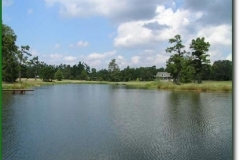 Most lake management companies will send a representative to your site once or twice a week for a brief inspection which is for the most part worthless to you as the landowner. Of course, you will be charged handsomely for that cursory visit. So now what do you do? You MUST find an honest and reputable earthmoving contractor that has the experience and equipment to build your job correctly. 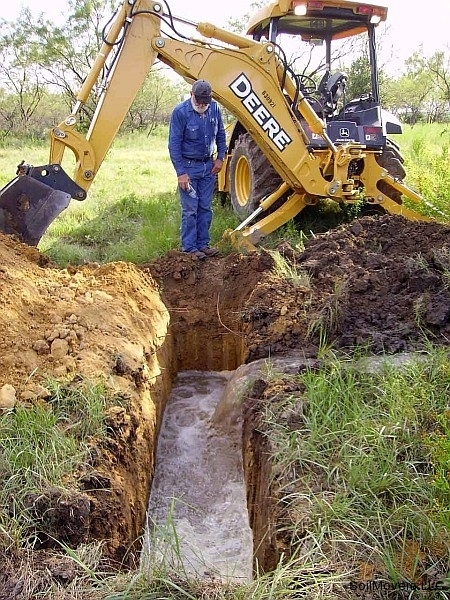 Look for a contractor who owns their equipment, has years upon years of experience and plenty of references. Unfortunately on the Internet you can be whomever you wish and pretty pictures are cheap especially if you lifted the pics from someone else. 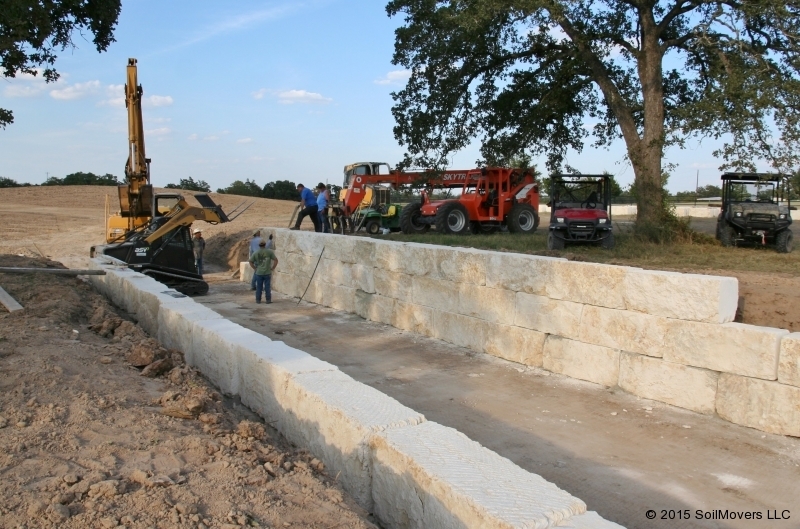 (Please note all of the pictures displayed on our website are actual pictures taken of our jobs.) 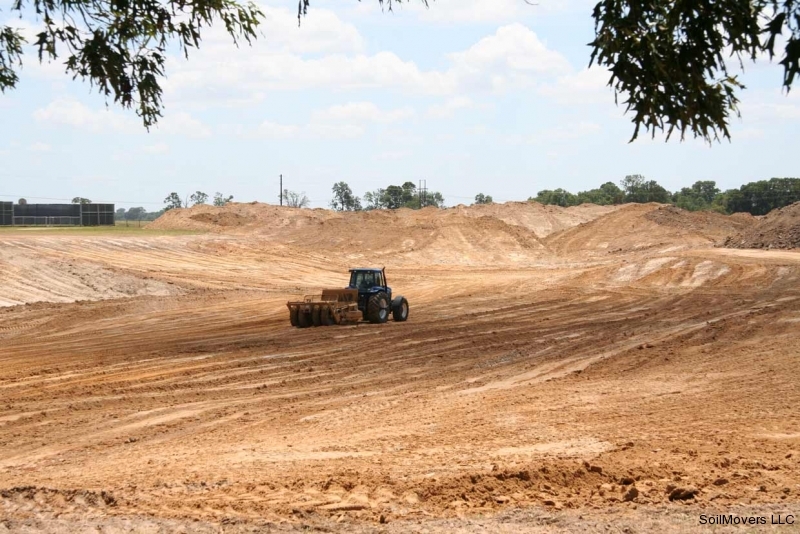 Keep in mind also that there is no substitute for experience and it takes years of experience to become truly expert at earthmoving. I have been successfully self-employed in the construction business 40 years come 2019. 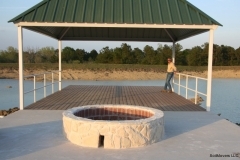 There are VERY few people in any line of work with that level of experience, much less in the lake building business. I put the icing on the cake by staying on your site actually doing the work a true 99% of the time. 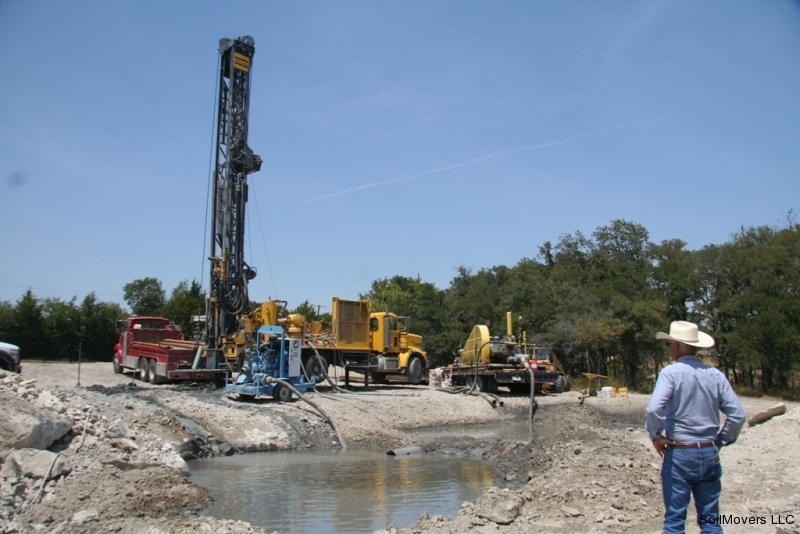 I refer to contractors that rely on a “supervisor/foreman” on site or lake management folks who stop by once or twice a week for inspections as “windshield participants”. 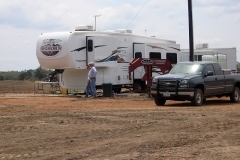 These people are never out of their vehicle actually “on site” very much of the time. If I can be of service to you please give me a call or send an email.